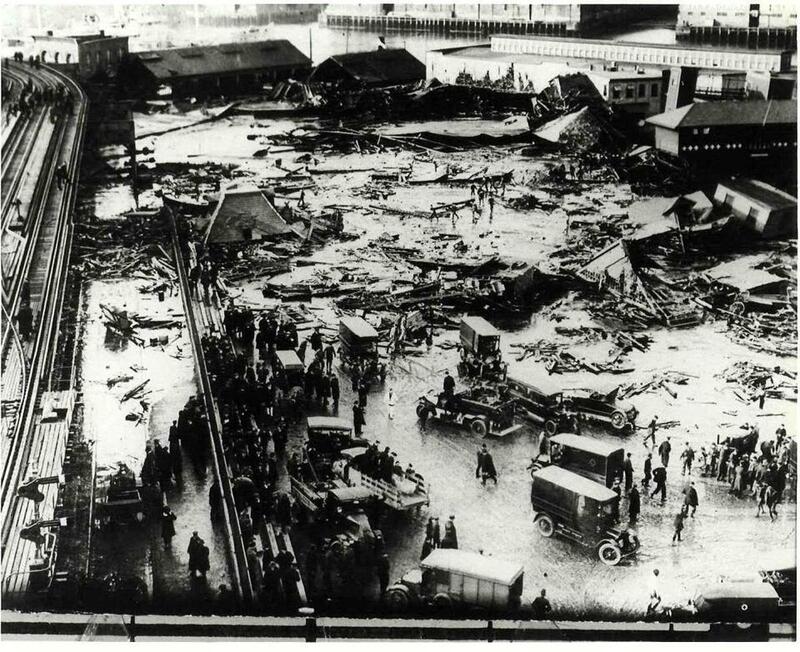 "Dark Tide: The Great Boston Molasses Flood of 1919"
That was our first thought when we heard there’s a musical in the works based on the Great Molasses Flood of 1919. Called “Molasses in January,” the show is about a family of Italian immigrants who are swept up in the infamous molasses flood that sent 2.3 million gallons of molasses cascading through the streets of Boston. A giant tank of the sweet stuff had collapsed in the North End, and the slow-moving tsunami killed 21 people and injured 150 others. According to Broadway.com, the show written and composed by Francine Pellegrino and directed by Whitney Stone will begin previews May 2 off-Broadway at the Jerry Orbach Theatre at The Theater Center. The cast include Lianne Gennaco, Anie Delgado, Grace Experience, Cali LaSpina, Joe Marx, Joe Redman, Daniel Artuso and Zachary Harris Martin.